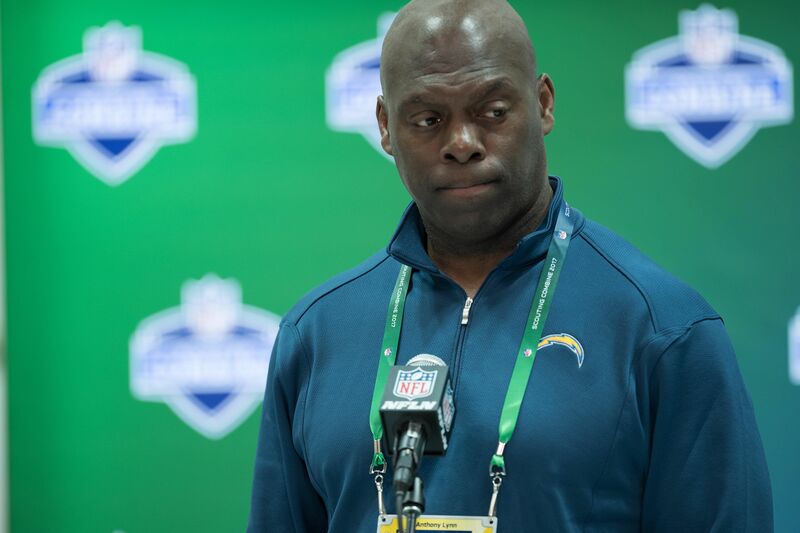 Anthony Lynn clears name from a report of blocking Rivers and Gates from attending LaDainian Tomlinson’s Hall of Fame induction. We’re a couple days away from football. The Dallas Cowboys and Arizona Cardinals square off Thursday in the annual Hall of Fame Game. Saturday, seven new members will be enshrined amongst the elite. LaDainian Tomlinson, Kurt Warner and Jerry Jones headline the 2017 class. LT’s career was remarkable, but some of the credit belongs to former teammates Philip Rivers and Antonio Gates. However, both guys may not be able to attend Tomlinson’s ceremony. According to an earlier report, head coach Anthony Lynn was blocking them from attending, as the Chargers have a joint practice with the Rams the same day as enshrinement. Nonetheless, Lynn has denied that report. According to the NFL Network, Rivers has informed Tomlinson that he won’t be in Canton. On the other hand, Gates is still up in the air. “I had the pleasure to play with him,” Gates said. “And going and playing in between the lines with LT, I can’t say enough about what he means to this organization and what he means to me. Tomlinson finished his career with 13,684 yards and 145 rushing touchdowns.